Our hotel started in 1986 and re-branded to Four Points by Sheraton Singapore, Riverview in 2016 - the first hotel in Singapore under the Four Points by Sheraton brand. Our Jubilee Ballroom caters up to 30 tables for a wedding banquet, with the adjacent Coleman Room for wedding reception. For a 10 to 12-table venue, you can opt for our Robertson Room that has a stunning ceiling fabric lighting and natural daylight with a view of the Singapore River and its own balcony, which can be arranged as a wedding reception area. 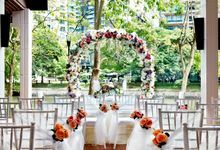 If you prefer an alfresco venue along the Singapore River, you can hold your solemnization at our Outdoor Terraces at our bar, The Best Brew or all-day dining restaurant, Four Points Eatery. 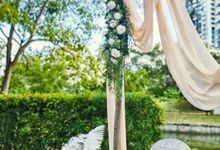 Besides our new wedding and solemnization themes, we also offer you a digital canvas to showcase your big day, one that you can share your unforgettable and fun moments with once-in-a-lifetime memories. Whether they are still images, backdrops, moving visuals and montage, it is a digital canvas for your big moments in the style you love. All our function space are equipped with WiFi, intelligent lighting systems and stage lights, and dedicated AV system with full-range professional audio speakers. S$5000 for 1st deposit, 1 month prior to AD will be 50% and remaining balance after event. The most ideal time is for clients to contact us is 6-12 months before their wedding. 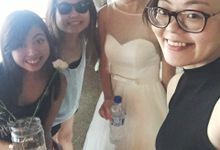 Yes Our wedding specialist team will be able to make an appointment with you. 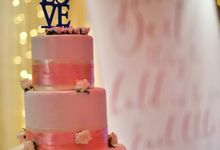 How many ways are there to say “I do”? 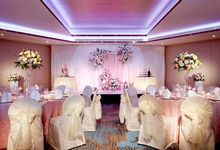 Take your pick to craft your bespoke wedding at Four Points by Sheraton Singapore, Riverview. 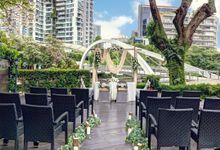 From an outdoor solemnisation along the enchanting Singapore River to our stylish Ballroom we have a venue for whatever your heart chooses. 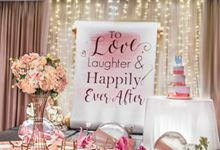 Our new wedding themes and digital features (canvas and flips) are specially designed to make your wedding insta-worthy and forever memorable.